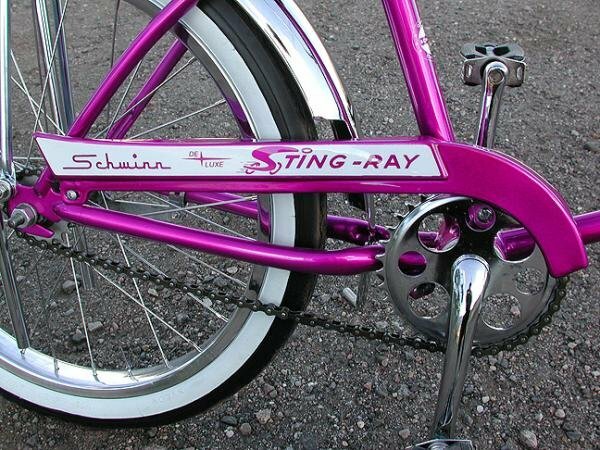 This 1966 Deluxe is a Highly Sought After Early Schwinn Sting Ray. 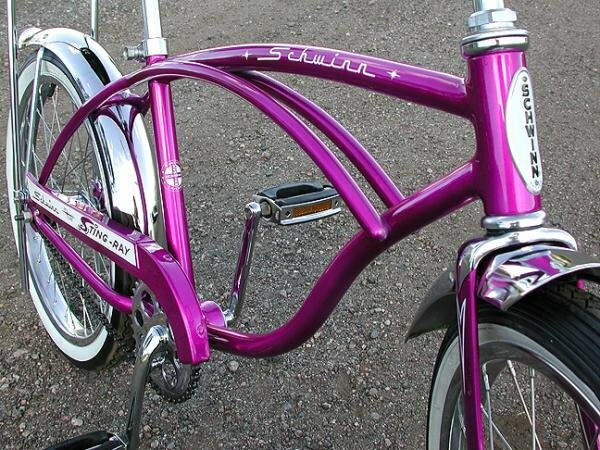 The Earlier Models were Crafted with more Chrome and Unique Colors, thus Making the first Few Years on Stingrays Extremely Desireable to Collectors. 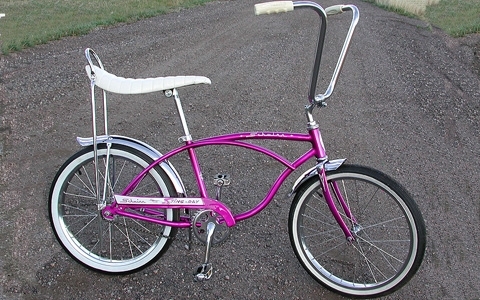 Not only Were they Beautiful Rare Bicycles, I Find them to be Some of the Best Riding Stingrays. 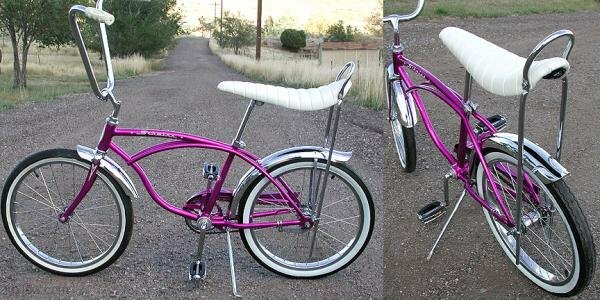 This 1966 Deluxe has a Beautifully Re-chromed Original Crank, Stem and Kick Stand. It has a Super Nice Original Front Fender, Sprocket and Seat Post Clamp. 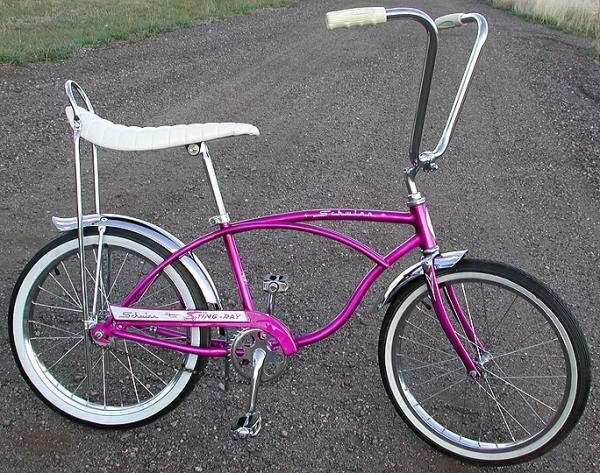 It has a New Schwinn Reproduction Rear Fender, Seat post, Handle bars, Sissy Bar and Pedals. 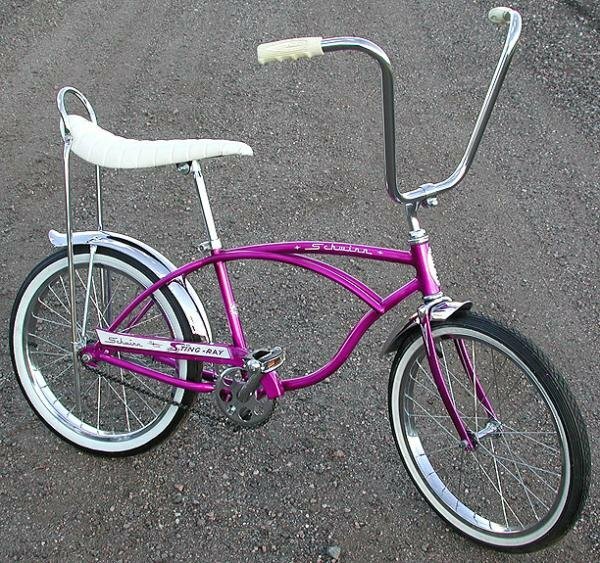 The Wheels are Original Hubs, Rebuilt Script Front and Bendix Red Band, Laced with Stainless Steel Spokes to a NOS S-7 Rim on the Front and a Sweet Original S-2 Rim on the Rear. The Tires are a Front 20″x1 3/4″ NOS Goodyear Eagle 134 Whitewall with a Reproduction 20″x2.125″ White wall Slick in the back. The Seat is an Original Schwinn / Pearsons Remade Deep White Tuft Seat. The Schwinn White Chub Grips are Nice Originals. Click here for Details of the Lux Low Full Antique Restoration Process on this Bike.